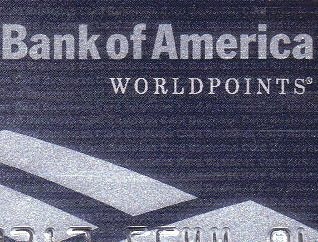 Credit Cards: Bank of America Clarity Commitment Summary. Very informative article, indeed. All hail Bank of America :). I like your writing style very much. Bank of America is one of the very few banks that go out and make sure that their customers are satisfied with their service. I also have BofA and am extremely satisfied with not only their reasonable rates but also their customer service, as you noted in this post. This is a very important new for all the two million small business credit card customers all across America. In such a downtime it is really a tough for small business to survive; i want to thank the bank of America for looking forward to small businesses. thankyou for a god information!you have explained all this!explaied everything that a person should know!! Bank of america is one of big banks in world.. do you know that the actual name of BOA is Bank of italy and it was changed in 1948 ..
hey thank you for providing this meaning and important information. customer satisfaction is the most important aspect in todays modern world. i like your blog that help me in providing this realistic information. Bank of America lost a lot of customers to Chase and WaMu and wants them back. it trying to keep paying customers and let only the really bad apples go. B of A was one of the first banks to even use the credit card back when banks thought other banks were crazy to offer "loans" in the form of cards. now all the banks are flinging card offers just to see what will stick.